«The initiated reforms aim to create a competitive environment for investors in various sectors of the economy so that they can benefit from the most innovative tools of customs administration» stated General Director of the Customs Service, Vitalie Vrabie during the meeting with Thomas Moser, CEO of ICS Danube Logistics SRL, a company that manages Giurgiulesti International Free Port (GIFP). During the meeting there were discussed several issues that need to be optimized in order to ensure smooth functioning of the port and create favorable conditions for the residents of GIFP. The parties established an agenda of actions to be undertaken in the near future by a working group that was formed for that purpose. These measures provide for the identification of solutions to simplify customs procedures, as well as adjustment of the existing legal framework so that new provisions regulate including the activity of GIFP. In this regard, Rosario de Blasio, Senior EU Adviser in Customs area, has stated that within these procedures there will be considered best community practices, so that the results correspond to the requirements of international standards. 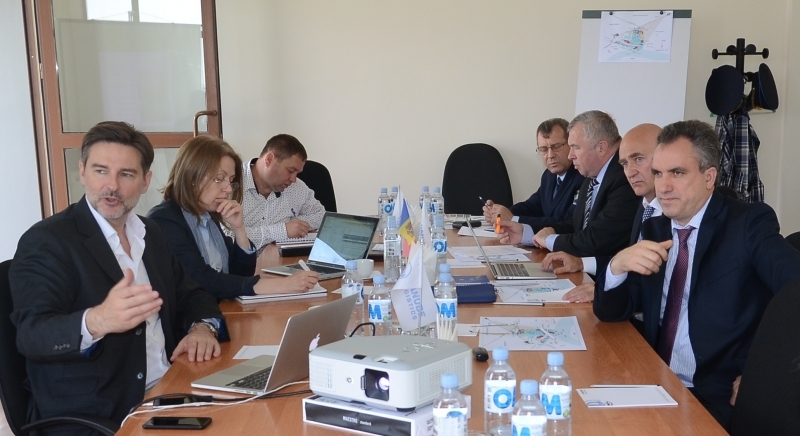 At his turn, the Danube Logistics, Thomas Moser welcomed the constructive dialogue and the solutions proposed by the Customs Service which will not only simplify international trade of Moldovan companies but also facilitate additional investments of Moldovan and international companies within GIFP. ICS Danube Logistics SRL, beneficially owned by the European Bank for Reconstruction and Development and by the Dutch company Danube Logistics Holding BV, is the general investor and operator of Giurgiulesti International Free Port as well as a multi-modal logistic service supplier.